The prodigal son is back. Ever since the terrible mistake he made in high school—a mistake that cost his best friend his life—bullfighter Luke Starr has stayed far away from Pecan, Texas, and his family. But with his twin brothers gone on their respective honeymoons, Luke is forced to come back to town to watch over Gramma and the family ranch. And he can’t wait to leave again. Because being home hurts more than being stomped on by a bull—and it’s only a matter of time until he messes up all over again. Special ed teacher Jess Sadler will do anything for her students—even abandon her comfort zone to convince a reluctant rodeo cowboy to give “horse lessons” to a student she can’t reach. But when feelings for Luke blindside Jess, she knows she’s in trouble. The man is counting down the minutes until he can leave Pecan. Will he take her heart with him when he goes? Then a little boy goes missing on the family ranch, and Luke must confront the ghosts of his past or lose the future he never dreamed was possible. There is instant attraction between Jess and Luke, but it is the compassion they show- even when it takes effort- that makes this story heartfelt. There is plenty of angst with Luke's overwhelming feelings of guilt that he faces being back home and interacting with the community he thinks blames and hates him. Dating Jess provides a bit of respite... until she tries to help him come to terms with his past. The horse lessons for her special charge gives them a connection he can't escape, and the miracle of progress they see in the child reinforces the importance of Jess's work and Luke's help. There is plenty of tension during the climax of hunting for the missing boy, but it is softened with Luke's healing experience and the decisions he makes for his future. A princess on-the-run finds sanctuary where she least expects it... After nearly dying in an assassination attempt, Princess Alessandra of Glorvaird escapes to a place no one would ever think to look for her: small town Oklahoma and a ranch staffed by a herd of wooly, uncouth cowboys. 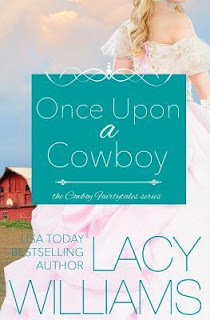 One cowboy in particular gets under her skin, until she sees his softer side. She knows this interlude can't last forever, but that doesn't stop her from wishing it might... Former Navy SEAL Gideon Hale might've rescued the princess from freezing to death, but the soldier doesn't trust easily-or at all-especially when his gut tells him Alessandra is keeping secrets. But as Alessandra begins to fit into his life, he discovers another side to the princess-one that he can't help but like. When Alessandra's enemies close in, Gideon must fight to save the woman who has become so much more than a princess... "Once Upon a Cowboy" is a contemporary western retelling of the Snow White fairytale and Book 1 in the Cowboy Fairytales series. Other books include: Cowboy Charming and The Toad Prince. 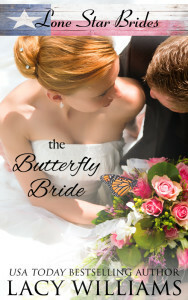 I enjoyed this novella about a modern day princess. The author did a great job portraying her desperation to escape, her fear of danger, and trauma from the recent violence. Gideon is a pretty tough nut to crack, but when he falls, he falls hard. Allie's pleasure in cooking for the cowboys and working in the kitchen endears her to all the men working on the ranch, and soon they can't imagine life without her. The fact that her stay is just temporary creates a strong tension, while the suspense from the danger she's in keeps the story quickly moving forward. Looking forward to reading more in the series! After an accident leaves her injured, Daisy Richards stays secluded at her family's Wyoming ranch to avoid the town's gawking stares. 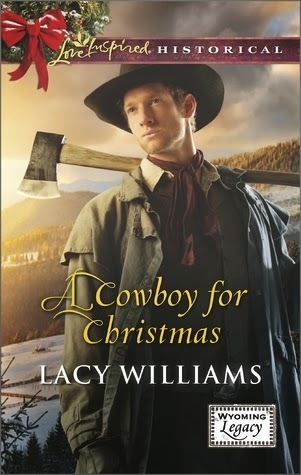 Yet handsome cowboy newcomer Ricky White insists she can do anything she dreams—ride a horse, decorate a Christmas tree…even steal a man's heart. Once a reckless cad, Ricky is to blame for what happened to Daisy. Now reformed, he wants to make amends by setting things right for his boss's beautiful daughter in time for the holidays. But Daisy doesn't know Ricky's responsible for her predicament. When the truth is revealed, will he lose the greatest gift he's ever received—her trust?